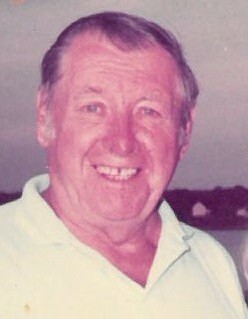 William E. Brock, 90, of Providence died Thursday, at home. He was the beloved husband of Rose P. (DiLibero) Brock, they were happily married for 66 years. Born in Providence, he was a son of the late William E. and Stella (Molson) Brock. William served our nation proudly as a member of the US Navy during WWII under the command of Admiral Byrd aboard the USS Philippine Sea. He then went to work at Narragansett Electric Co. for 38 years before his retirement. He was a faithful communicant of Blessed Sacrament Church. Besides his wife, he leaves a son, William E. Brock, III, three daughters, Patricia M. DeLuca and her husband Richard, Maribeth J. Brock, and Susan A. Cardillo. He also leaves three loving grandchildren, Stephanie A. Brock, Christine M. Cardillo, and Thomas P. Cardillo.